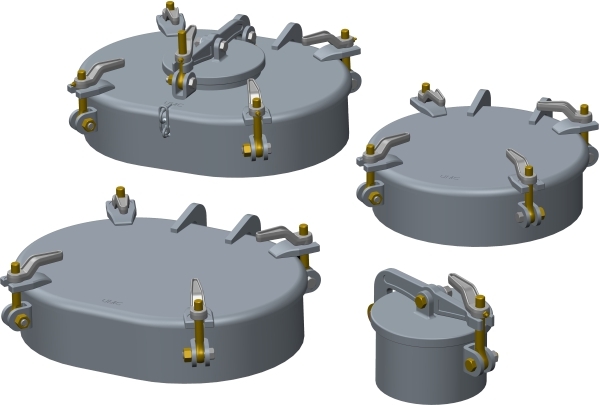 UMC’s Raised Watertight Hatches are strong and secure enclosures. They are universally used on all types of commercial vessels around the world. Their simple design and quality construction help them meet and exceed the long term trouble free service requirements demanded of them in the harshest environments. They are fabricated using high quality ASTM A36 Steel. We offer various sizes of Oval and Round Raised Watertight Hatches that are available with various coaming heights and hardware options to meet your specific requirements.